We constantly hear about a new tech billionaire thats made it big or a new multimillion-dollar app thats taking the world by storm. But amid all this hype and we don’t really get to hear anything about the amazing people who are actually changing lives beyond just providing another dating app. 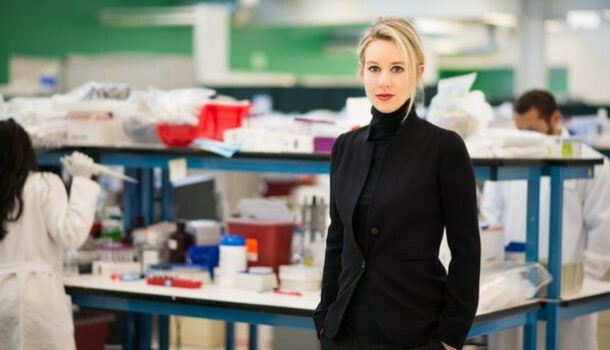 One such young visionary is Elizabeth Holmes, a self made billionaire that is revolutionizing the healthcare landscape. Like the majority of all tech stars, she also dropped out of Stanford University to launch her business, aiming for the fences with this one. And 10 years after that, her company, Theranos , is now valued at an amazing $9 billion, and has board members that even the US government could only dream off: Henry Kissinger, George Shultz and even a former defense secretary among others. Now if this does not define the ultimate badass story of a startup making it all the way to the top while actually changing people’s lives, then we have to redefine the definition of success. Elizabeth i kinda of like the Mother Theresa of the Entrepreneurial community in the west coast, and the burning question you have to ask now is, what on earth does she do? Here is a hint, she found an enormously inefficient process that millions if not billions of people use, but no one ever thought of modernizing. That’s the dream of every entrepreneur; finding a small process that costs a few dollars, multiplying that by 340 million users and you’ve made yourself on top of the Forbes list. We’re talking about blood tests. Blood tests? Are you for real? Who could ever make money out of that? I mean it’s a horrible and long experience no one wants to go through, draining half of your blood only to get the results back after two weeks…Exactly! What if someone simplified the process a little, reducing the blood sample to just a couple of drops and minimizing the result time to just 24 hours? Oh, and what if it would become a hell of a lot cheaper? That’s exactly what Holmes spent 10 years doing and perfecting, and today the whole world is gazing at her established empire, wondering how on earth she did it. These are the heroes we should be celebrating, the Steve Jobs of our generation, not the pricks who manages to create “one-hit-wonder” apps. Elizabeth was absolutely killing it, hustling for 10 straight years to get her company’s credentials booming through the roof, and yet, no one is talking about this wonder women. Why? Is it because healthcare is not as “cool” as technology? If it was a Tinder for doctors everyone would be going crazy! But because it’s a business that makes people’s lives so much easier and better, no one cares. Logical? No. Elizabeth Holmes is an absolute hero, an amazing role model that every individual should look up to in order to understand what success and entrepreneurship is really about.